This time of year brings out the peaceful colors of BLUE and GREEN. I use these colors in my home, journals, clothes and planner. I challenge you to use these colors in your art journal. Use what you have! 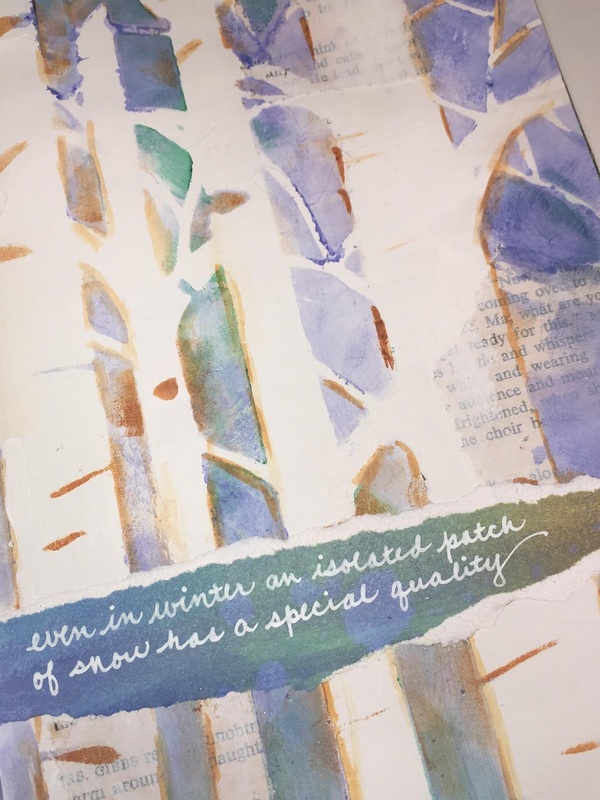 I used a favorite stencil, some gesso, torn book text, paint, ink and even some reinker ink. I found a quote to write on a scrap of paper and glued on top. Tip: if you are adding paper to your page and it isn’t quite the right color, sponge some of the page color onto the scrap and it will perfectly blend! Take 30 minutes - just enough time to relax, have fun and feel satisfied with your completed pages!